Memories From Hamblin was a partnership with Heritage Battle Creek (HBC), a local-history association with a special interest in that city's African-American past. It was catalyzed by an earlier Arts of Citizenship project on the Underground Railroad in Southeast Michigan (described here). Michael Evans, HBC's innovative director, approached me to support similar research in the Battle Creek region (home of antislavery and women's right activist Sojourner Truth in her latter years). Michael and I planned a 'summer field school' that would train local community scholars to do archival research alongside University of Michigan graduate students. Just before the start of the field school in summer, 2003, that research agenda shifted. HBC members had become interested in the history of the Bottoms, Battle Creek's core African-American neighborhood in the mid-20th century. They wanted to reconstruct its rich social world, embodied especially in the Hamblin Community Center. And they wanted to reconstruct the story of the neighborhood's displacement in the 1950s and '60s, the result of an epic flood of the Kalamazoo River in 1947 and subsequent urban renewal efforts by the Army Corps of Engineers. 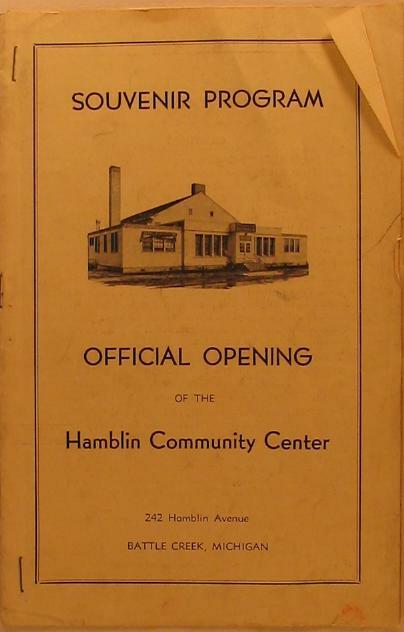 Above: the social and recreational life of the Hamblin Community Center in the 1940s and '50s. 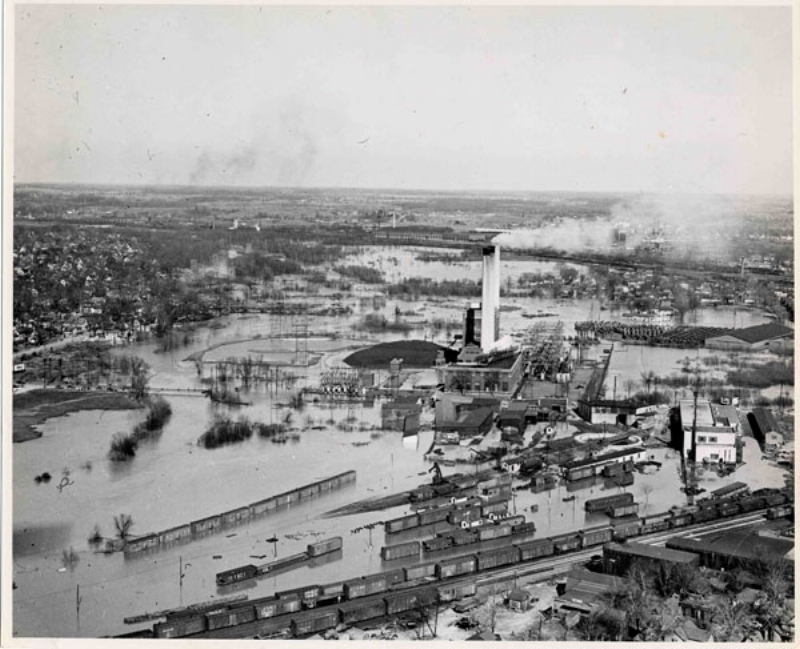 Below: the 1947 flood of the Kalamazoo River and its aftermath. Over two summers, the field school researched the rise and fall of the Bottoms. (Read here for local press coverage of the school and its research.) Our team included UM graduate students (Alex Navarro, Alice Rischerle, LaDale Winling, Itohan Oyasimwese, and Karen Miller) and citizen scholars from Heritage Battle Creek (including Velma Adams and Thelma Jones), as well as undergraduates from Western Michigan University and Kalamazoo Community College. 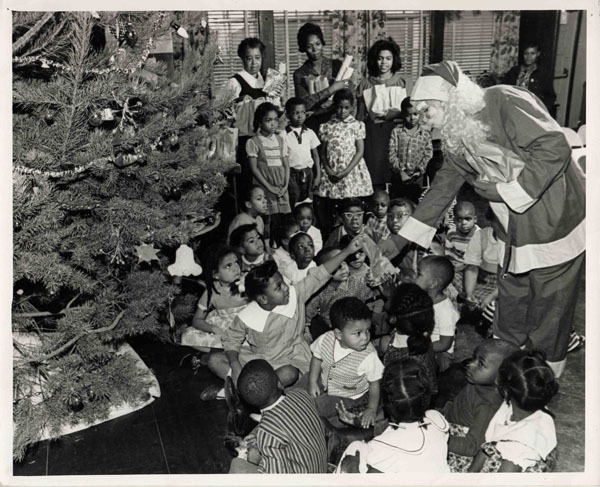 Michael Evans trained community members in oral history; I led an archival research team; and we collected material artifacts and documents from the attics of local families. 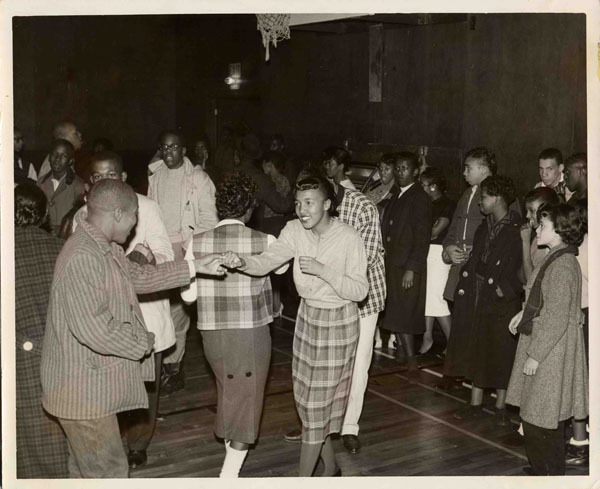 We researched such areas as black migration to Battle Creek, education, youth culture, and entertainment in the Bottoms, and the evolution of the Hamblin Community Center from a World War II USO center for African-American soldiers. We documented the story of the 1947 floods, the urban renewal policies that ensued in the 1950s, and the displacement of the black community in the 1960s. The story presented in Memories From Hamblin is important for the black community of Battle Creek and the city as a whole. It's important for our larger understanding of African-American community-building and displacement in urban America during the 20th century. The project is also important for its model of reciprocity in public scholarship. Finding and telling the story of the Bottoms required the joint expertise of academic scholars and citizen scholars; Michael Evans' idea of a summer field school proved a terrific strategy for building and sharing that expertise. In later projects--especially my public-history work with Museum L-A in Lewiston, Maine--I found myself drawing on the lessons learned in Battle Creek.